Home » AUD » Pound to Australian Dollar Exchange Rate Forecast: Will GBP/AUD Fall Further on Government Borrowing Data? Pound to Australian Dollar Exchange Rate Forecast: Will GBP/AUD Fall Further on Government Borrowing Data? The Pound (GBP) has made a minor loss against the Australian Dollar (AUD) today, in the wake of disappointing retail sales figures. June’s readings showed a decline of -0.5% for the base figure, which has pushed the GBP/AUD exchange rate down to a level of AU$1.7652. This week’s last UK economic data will be a measure of government borrowing for the public sector, out on Friday morning. This measurement of government spending is tipped to show an expansion of the existing budget deficit, with a shift from £-3.36bn to £-3.5bn. Such a result could trigger Pound to Australian Dollar (GBP/AUD) exchange rate losses, as it would represent a move away from the coveted borrowing surplus. Will CBI Data Bring Pound to Australian Dollar (GBP/AUD) Exchange Rate Gains Next Week? Looking to next week’s economic news, the Pound to Australian Dollar (GBP/AUD) exchange rate could be affected by Confederation of British Industry (CBI) data. Tuesday will bring a measure of industrial orders in July, while Wednesday’s data will consist of a Q3 business optimism measure and stats about distributive trades in July. The only forecast to refer to predicts that business optimism will grow in the third quarter, from a previous negative reading of -4 points up to 5 points. Such a result would indicate that there are more optimistic business owners than pessimistic ones, which bodes well for the UK economy. Broadly speaking, the Pound could appreciate against the Australian Dollar if industrial orders, distributive trade and business optimism levels all rise next week. Australian Dollar to Pound Sterling Exchange Rate Forecast: Will Higher AU Inflation Boost AUD/GBP? The Australian Dollar (AUD) has a chance to advance against the Pound (GBP) in the coming week, when high-impact inflation rate data comes out on Wednesday. Data for Q2 2018 is tipped to show a faster pace of year-on-year inflation, from 1.9% in Q1 to 2.2%. While the quarterly figure isn’t expected to change from 0.4%, annual growth could still be enough to push the AUD/GBP exchange rate higher. The Reserve Bank of Australia (RBA) inflation target is 2-3%, so forecast-matching annual growth into the target range could cause an Australian Dollar rally. If inflation is on or above target, this increases pressure on the RBA to consider raising interest rates in the near-future. The RBA last hiked interest rates back in November 2010, so to many AUD traders higher Australian interest rates are long overdue. Will AU Manufacturing Sector Slowdown Weaken AUD/GBP Exchange Rate Performance? The Australian Dollar (AUD) is at risk of falling back against the Pound (GBP) in the future, when a manufacturing sector activity reading comes out on 1st August. The AIG manufacturing index is tipped to show a slowdown in economic activity during July, which might weaken the Australian Dollar. Any reading above 50 points means that the sector is growing, but a slowdown from 57.4 points to 56.8 points could still unsettle AUD traders. Previous ArticlePound to New Zealand Dollar Exchange Rate Forecast: Will GBP/NZD Decline on UK Sales Data? 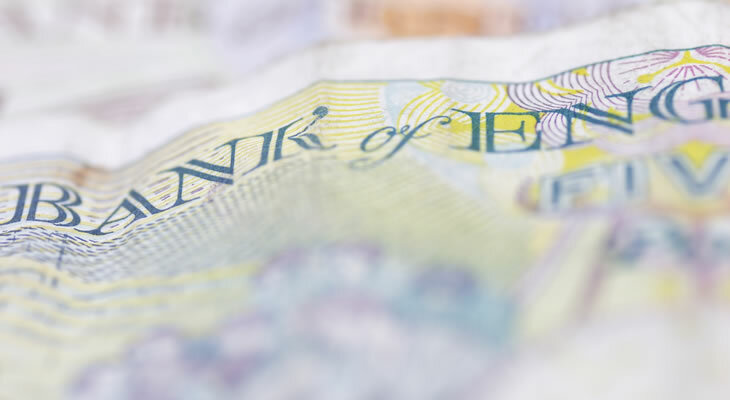 Next ArticleEuro Pound (EUR/GBP) Exchange Rate Forecast: Will Miserable UK Retail Sales Derail BoE Rate Hike Next Month?